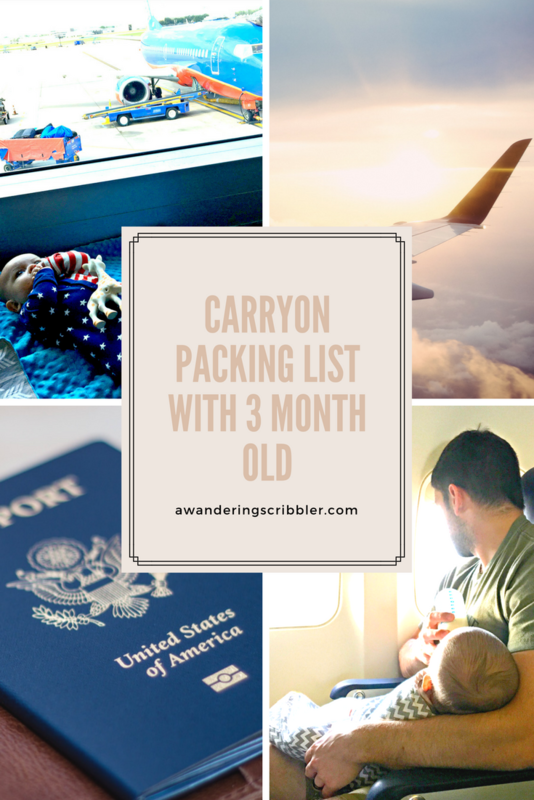 Carryon Packing List with a 3 Month Old - A Wandering Scribbler & Co. In August Andrew and I flew home from Texas to New York to visit family. 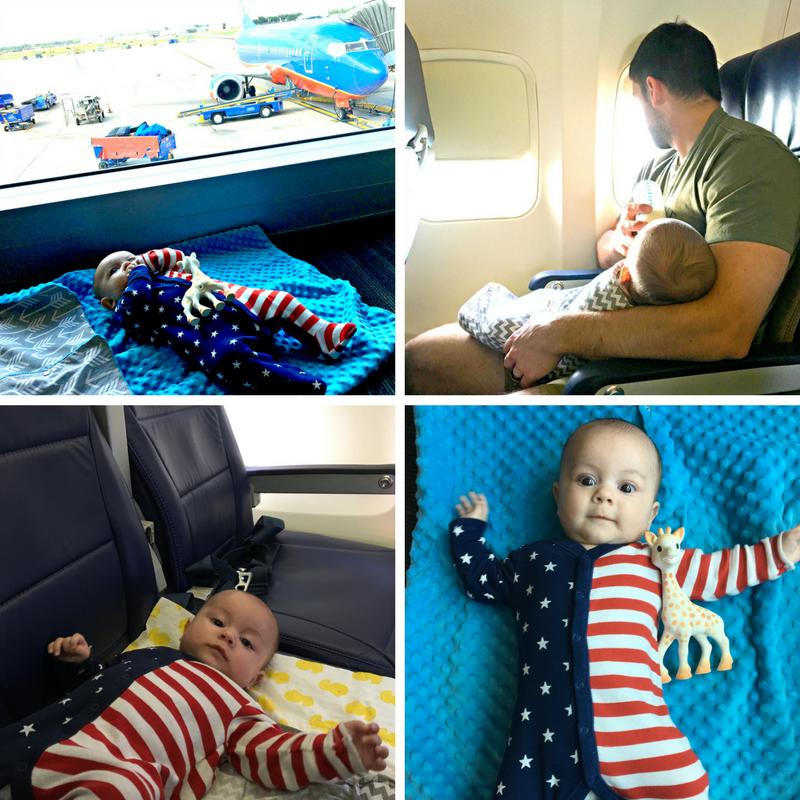 I was a little nervous about how it would go both because it was his first time flying and because it was my first flight looking after a tiny human. Surprisingly, the flights we took to get home went extremely smoothly and we had no major incidents. I could not have asked for a better first trip with Andrew. On our first little trip, we flew from Dallas Love Field to Baltimore, rushed from one plane to another (while Andrew was completely asleep even with me basically jogging with him in my arms) and then flew to Buffalo. 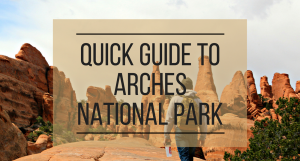 This was not a super long itinerary, but we were flying halfway across the country so it was no tiny feat with a 3 month old. On the way home we had just as easy of a time, but this time Steve (dad) was with us. While Andrew was still a really good boy, I was so glad Steve could be there. My flights there were almost completely empty and Andrew could stretch out on the seat to give my arms a break. On the way home the planes were packed so I could have had to hold him the entire time (while he was sleeping), so we could switch on and off the give each other a break. 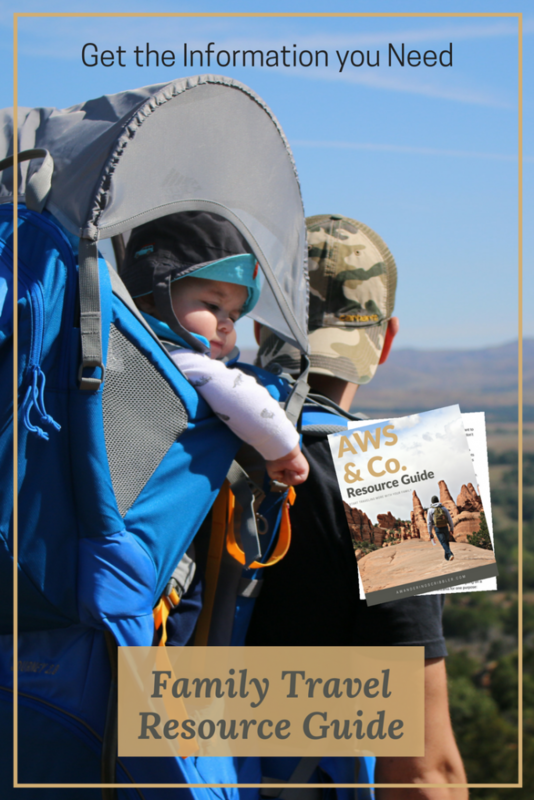 Check back in a few days for when I give my tips and advice on how to make flights with a young infant easier. 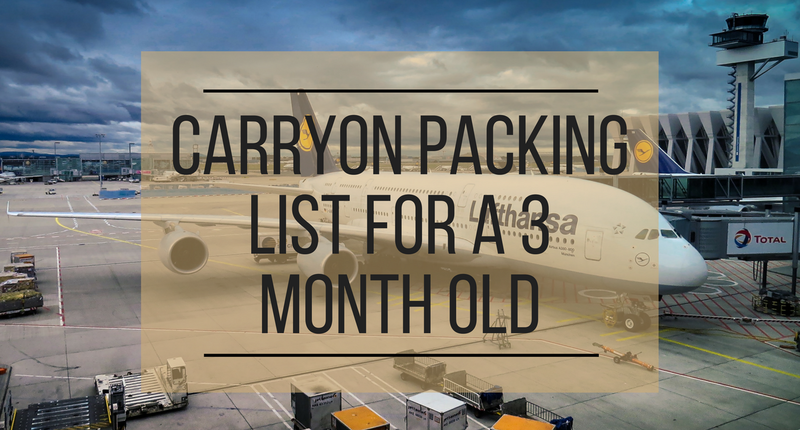 Because I scoured the internet before going on this trip to come up with a packing list for a 3 month old to make sure I didn’t forget anything, I thought I’d put together one of my own to hopefully help you out. Baby’s Birth Certificate or Passport- This is to check to see how old your baby is. You can use this travel wallet to get both of your passports and documents in one place. Note from mom or dad (if traveling alone)- I haven’t yet had to actually use this note but I’ve heard a lot of stories about how it’s a good idea to have one just in case. They’re really cracking down on child trafficking (as they should) so they sometimes ask for a note. While the likelihood of them asking is slim I don’t want to get stuck somewhere or have Andrew go through some scary situation just because I wasn’t prepared. 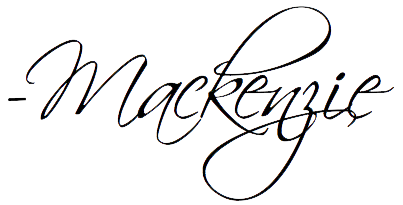 I used this form online, filled it out, and had it notarized. We used the legal office on base because it’s free, but most banks have a notary available for customers. 2 Full Bottles of formula or breast milk (if your baby takes a bottle) While we didn’t use 2 full bottles in the 6 or so hours it took from gate to gate, I still wanted to have extra in case. 2 Extra Bottles- like I said, I didn’t even use the pre-made bottles I had but in case he didn’t want to breast feed, or we ran out, I had these so I could quickly make more if needed. Cooler- This is if you’re bringing bottles or breastmilk. Extra formula- To use in the empty bottles. I like these travel packs to make it easy to dispense. Blankets- These are for covering baby if he’s cold or to put down on the floor to let him stretch out and play while waiting to board. I even used this to put on the seat of the plane. We had a whole row to ourselves so while we were in the air I could put him down to give my arms a rest. Baby carrier- If you want an easy, hands-free way to carry your baby, this is obviously it. 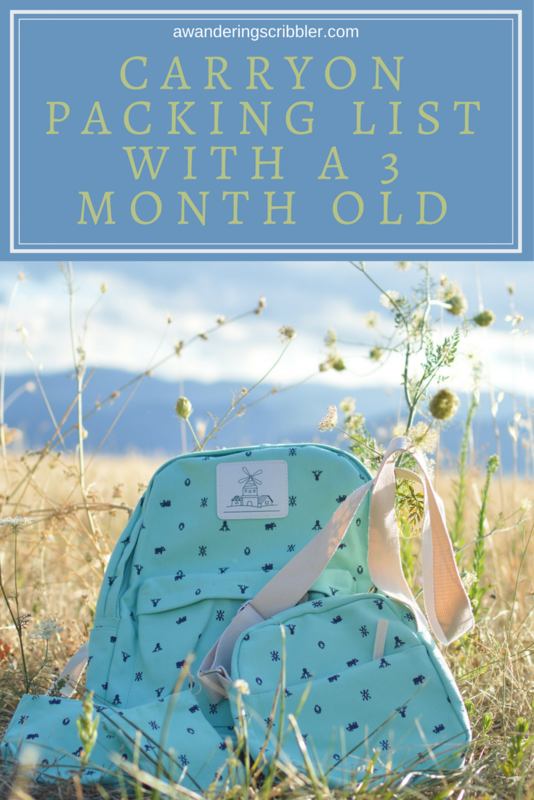 Diaper bag– You have to carry all of this in something. Nursing cover– I have never felt comfortable nursing in public. 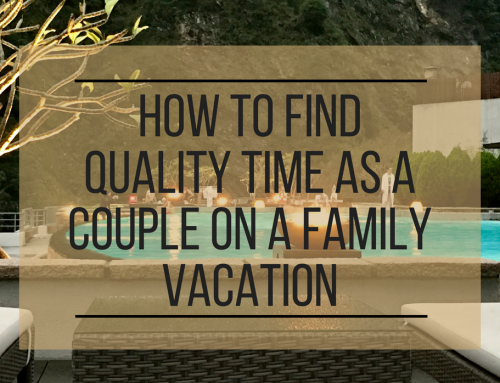 But if there was ever any time to do so it’s while traveling all day. I brought this nursing cover to make me feel more secure and covered up. Swaddle– When Andrew was 3 months old he still loved being swaddled. He would go from screaming his lungs out, to calm and smiley once wrapped up. He would sleep so much more soundly in a swaddle so I was not embarking on this trip without one. And it saved me. When he’s swaddled he knows it’s nap time. I wrapped him up when I could tell he was getting tired and within minutes (sometimes with the help of a bottle) he was asleep. I could not have asked for an easier time. If your baby also likes being swaddled DO NOT forget to bring this in your carryon. 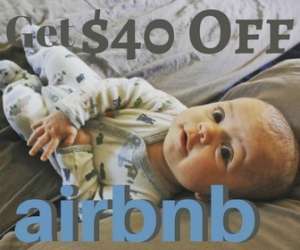 Diapers– 1 for each hour of travel and then some- Just bring a ton. Wipes- one million- DO NOT RUN OUT. Aquaphor– Airplanes can be pretty drying on the skin. I like to put some on Andrew’s face just to keep it from getting irritated. Also… to avoid diaper rashes while on the go. 2 extra outfits- No one wants to smell your baby if he pooped on himself. Changing Pad– Whether you have to change baby in a changing station in the bathroom or on the floor in a deserted corner of terminal, this can come in handy. Airports aren’t exactly the cleanest places and this will keep your baby off of the dirty surface you’re changing him on. Baby’s favorite toys- I brought Sophie and a ball shaker toy that Andrew loves. A new toy- Your baby probably has some favorite toys but often a new one will excite them for at least a little while. I like to keep toys we got as gifts and bring them out at times like these to make them a little more special and also distract the baby. Andrew really likes this weird singing toy. It mesmerizes him. Disinfectant wipes– Like I said, airport = dirty. Disinfectant wipes will help you to wipe down a surface your baby is going to touch. 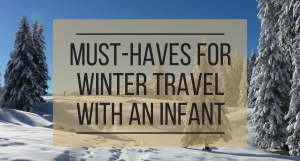 You don’t need a snotty or fussy baby while you’re out traveling. First Aid Kit– The likelihood that you’ll actually need something from a First Aid Kit is slim, but when you do need something, you’ll be glad you have it. Even if it’s just to use the nose sucker to get a booger that’s bothering baby. A Dry Bag– If baby does make a mess of his clothes, you can stuff them in this dry bag to keep them away from everything else. Plastic bags– These come in handy for anything. You can put a diaper in here if you’re not right next to a garbage. You can put an empty bottle in so it doesn’t leak in your bag. I like to put my bottles in a ziplock bag while going through security. Even though you can take the bottles through (even if more than 3 oz), you still have to take them out of your cooler bag. Putting them in the bins is just asking for your baby to get sick. People’s shoes and who knows what else go in there. I got this tip from a TSA agent who gave me a bag when I forgot. Flying at 3 months old was a scary undertaking at first, but now I see how easy it was. He required so little, as far as food or entertainment, and we had a really easy time. 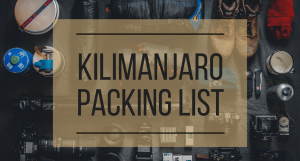 If you’re thinking of flying or aren’t sure what to pack, definitely take a look at this list. These items really helped me while flying with a young baby. Let me know where you and your baby are flying! 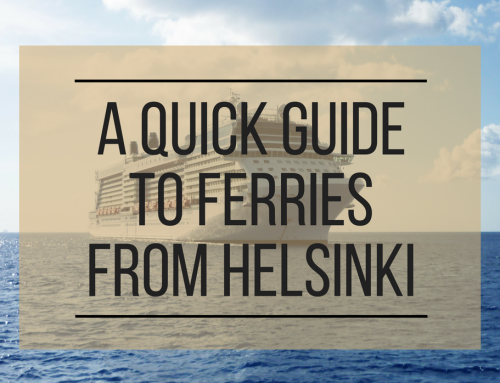 I’d love to talk travel in the comments. 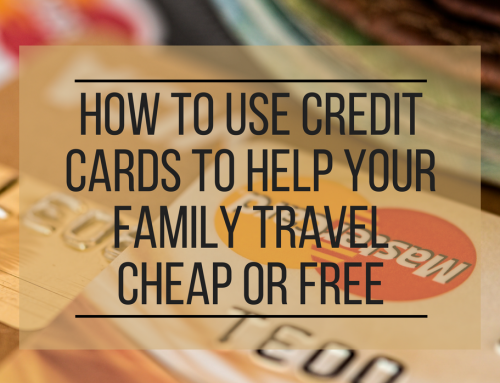 Or head over to our Family Travel Group to get help from other parents. This post may contain affiliate links. I receive a small commission, at you extra cost to you, if you make a purchase using the links. You can also see my full Disclosure and Terms and Conditions (you know, the real boring stuff). I flew with both my youngest sons when they were around 3 months old. 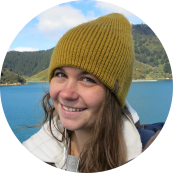 I was breastfeeding so I didn’t bother with bottles or formula – I used the take off and landing as times to breastfeed- the sucking/feeding helped baby’s ears and settled them off to sleep. I flew from the UK to Rome, so it was only a 2 hour or so flight. My baby bag had a detachable changing mat and was the allowed dimensions so I used that as my main bag. Once babies became more mobile I drove abroad to destinations so children’s equipment could be packed easily into the car. We resumed flying properly again when they were around 8 years old.